Driving a 250mile round trip on Saturday to the West coast, as Mrs Wing had never been to Blackpool. We parked up to see a guy simultaneously walking down the street and urinating. If that was a sign we should have heeded it. You know that phenomenon where all the crap dumped into the sea has pooled together to form a giant floating island of debris. 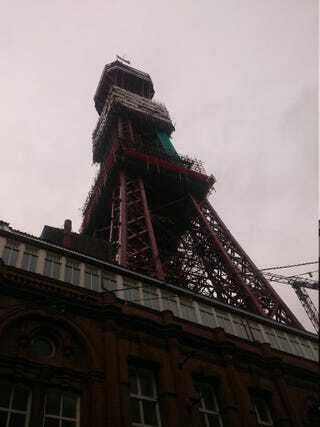 We'll that's like Blackpool only someone built a tower atop.